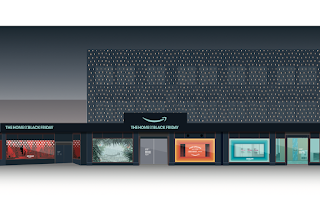 Amazon is opening a 4 day pop-up shop in Shoreditch, called Amazon's Home of Black Friday, from Thursday 22nd - Sunday 25th November 2018. It's at 3-10 Shoreditch High Street, and will include lots to see and do, including classes and VIP experiences. Brands featured include LEGO, Xbox, Samsung, Le Creuset, and there will also be a Whole Foods market, and a pop-up bar. As with other Amazon pop-ups, I don't think there will be any stock that you can take home on the day, but instead 'Smile Codes' to scan on your phone so that you can add items to your Amazon basket to be delivered to you, This one is going to be busy!! "Amazon’s Home of Black Friday pop up is back, bigger and better than before, to celebrate the start of the Christmas shopping season and the UK’s biggest annual deals event. 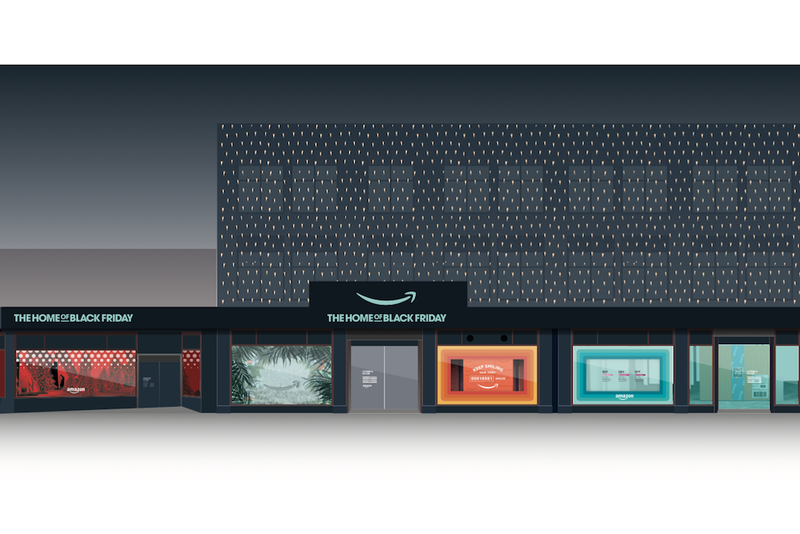 The Home of Black Friday pop up, is set to showcase the very best of Black Friday at Amazon, from great deals on must have products to fast delivery and fun, innovative shopping experiences. Located at 3-10 Shoreditch High Street in London, the four-day multi-room experience will be open from Thursday 22nd November until Sunday 25th November. This year there will be even more prize giveaways, workshops, VIP experiences and product sampling, offering something for all the family. Customers can also experience the brand new AR view functionality and the latest range of Amazon devices. Just a few of the great brands showcasing deals, experiences or offering prize giveaways at the pop up experience include Whole Foods Market, HP, Samsung, Lego, Xbox, Le Creuset, Yankee Candle, Sennheiser, Philips Hue, Hotel Chocolate, Logitech, T2, Nicky Clarke, OnePlus, Microsoft, Playstation, Canon, Foreo, Puressentiel, Nescafe Dolce Gusto and many more. All deals on display will be shoppable through the Amazon app using bespoke Smile Codes and a Prime Now collection point. Entry is open to everyone and free of charge. Activities will be open to everyone on a first come first served basis."